Have questions about using our SVG files with your Silhouette cutting machine? Check out the frequently asked questions below, if we don't have the answer you need, feel free to Contact Us! Can I cut SVG files from SVGCuts.com with my Silhouette CAMEO, SD or Portrait? 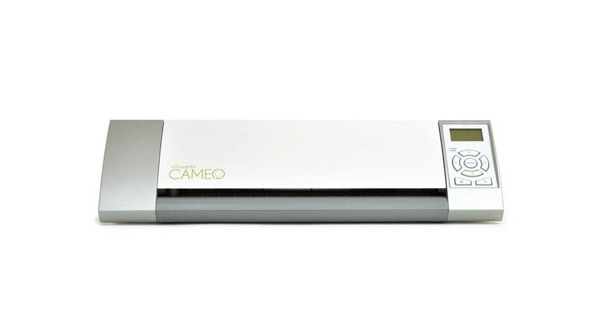 Yes, 100% of our files are compatible with the Silhouette CAMEO, SD and Portrait! In order to cut our files, you'll need to get your hands on a copy of Sure Cuts A Lot 3 or upgrade your Silhouette Studio to Designer Edition. You can get Silhouette Studio Designer Edition here and Sure Cuts A Lot 4 here. When I import some of your SVG files using Silhouette Studio Designer Edition, they open but nothing appears on the screen. Because SVG files contain coordinate information, some of our files may import OFF of the cutting area. We've got a quick fix for that! 5. That's it! 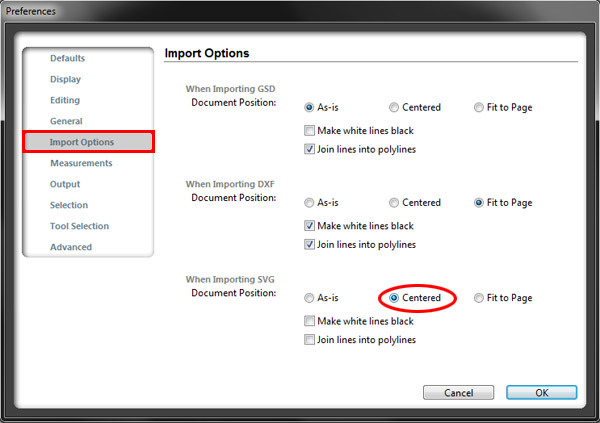 You've successfully configured your software to automatically center SVG files! Do I have to Unzip your files before importing them into Silhouette Studio Designer Edition? How do I separate elements within a single SVG file? If "Break Apart", "Ungroup" or "Release Compound Path" doesn't work for you, check out the eraser tool method described in this video. Skip to 3:32 for the Silhouette Studio portion. Do I have to trace your files in order to cut them? What is the correct method of importing SVG files? No, tracing our files is not required, nor is it recommended as it may alter our design. If you use Silhouette Studio Designer Edition version 2 or earlier, you must open our files using the File >>> Open option. Check out the video below for a step-by-step tutorial! If using Silhouette Studio Designer Edition version 3 or later, you can add files to your library or open them directly using the File >>> Open method. Check out the video below for a step-by-step tutorial! Can I convert your files in order to use them with Silhouette Studio (non Designer Edition)? While it is possible to convert our files from SVG to DXF(a format that Silhouette can read), we don't recommend it as it may alter the original integrity of the file and produce undesirable results. We only support our files when used in their original form (SVG format). You can open the files natively using Silhouette Studio Designer Edition or Sure Cuts A Lot 3 or 4. When making a project from one of your kits, how do I know what size to make everything? The beauty of our kits is that you don't have to size anything! Everything is pre-saved to the correct size so that when you open our files, all you have to do is pick your paper and cut.